Experience the subsonic speed of SSD storage. Less latency, and IOPS up to 100x more than normal drives for improved productivity. Our system automatically deploys the instant your payment is received. Your Window SSD VPS will be up and ready in minutes. Powered by Dual Hex-Core Intel Xeon processors, our Window SSD VPS helps to achieve greater performance, and handle the most intense I/O applications. Window Virtual private servers are the perfect solution to grow with you. If you need higher performance, just switch to advanced Window SSD VPS anytime easily. Why Exabytes Managed Windows SSD VPS? We guarantee 99.5% server uptime and 99.9% network uptime on our SSD VPS to assure your server is well taken care of. Need technical help? One ticket is all it takes. 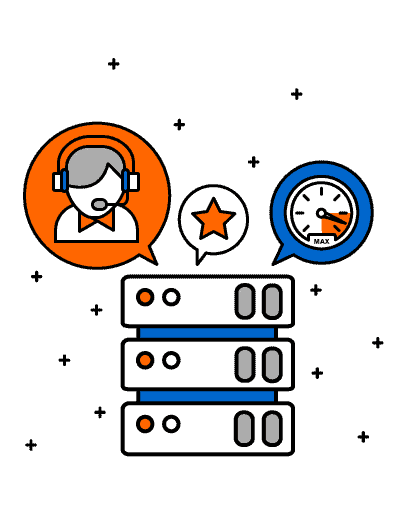 Just send a helpdesk ticket to our round-the-clock technical team ready to assist you promptly. Our Managed Windows SSD VPS comes with Premium Support. We provide technical support via Email, Live Chat, and Remote Access Help. What server virtualization is used on this virtual machine? Our VPS is powered by Microsoft Hyper-V.
How do I manage my Windows SSD VPS? You may manage your VPS account via VMUnify Client Control Panel on Exabytes Client Area. Alternatively, you may access your VPS using windows remote desktop connection. Setup Fee is waived for Quarterly / Semi-Annually / Annually sign up. Addons such as MSPControl / R1SoftBackup activation take 1 business working day. If payment is received after 12 noon (GMT+8), addons activation will be completed on the next working day. Free backup and restore service is not provided.